James Kelly is a photographer of junior hockey who was the official photographer of the 1983 Memorial Cup tournament held in Portland, OR. 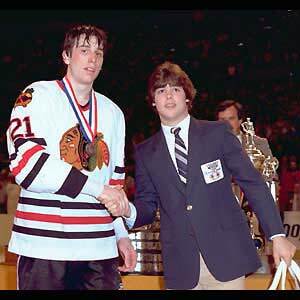 The tournament featured several future NHL'ers such as Cam Neely, Mike Vernon, Ray Ferraro, John MacLean, and Pat Lafontaine. Approximate collection size: 3,000.